Bulbous handle H.J. 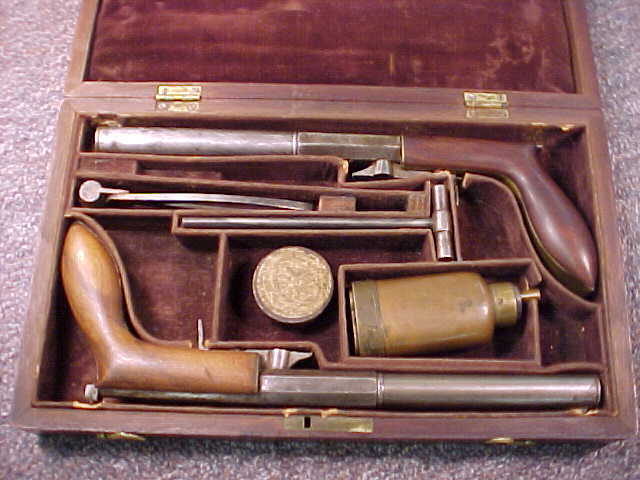 Hale underhammer pistol. 6 inches part octogonal/part round barrel in cal 31. Marking are H/J/HALE/WARRENTED CAST STEEL. First time I have one of these with this kind of grip. Overall Dark btrown with good hints of blue. Cased Pair of New England Underhammer Percussion Single Shot Pistols, By H. J. Hale, Bristol, Connecticut and Worcester, Massachusetts. Serial no. 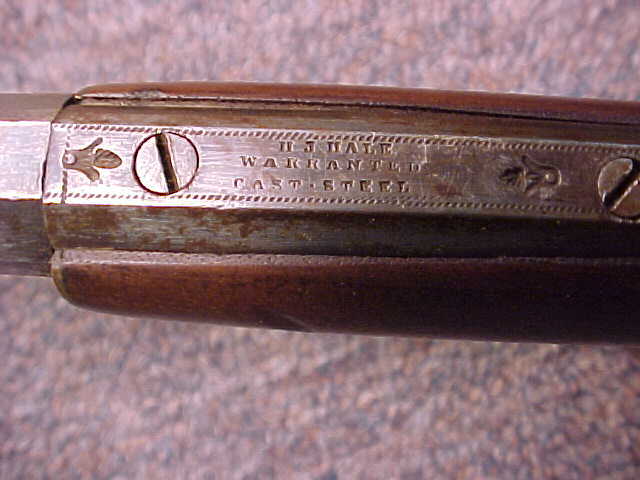 140, on each pistol; .28 caliber, 6 inch part octagonal, part round barrels, with copper or brass blade front sights, the upper tangs marked H J HALE/WARRANTED/CAST-STEEL; border engraved upper tangs; walnut grips mounted in brass. 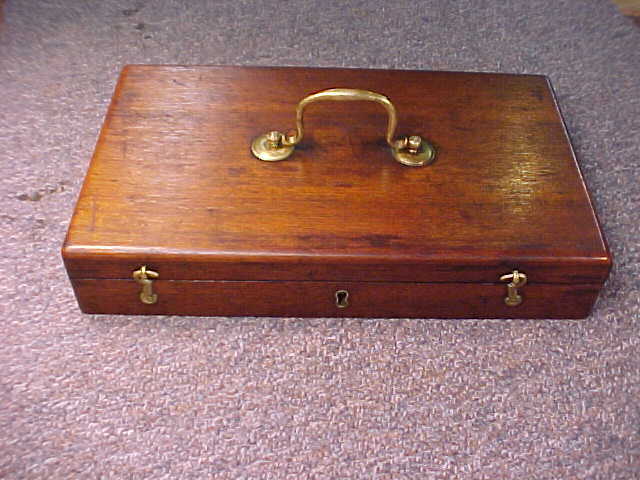 Mahogany case with brass carrying handle, lock and two hook latches; lined in brown velvet, with copper and brass combination powder and ball flask, single cavity bullet mold (serial no. 140), cleaning rod and tin of percussion caps.